CONTEXT: Identification of individuals as they travel can be a complicated task, specially when a police officer has to conduct this task on-the-go (e.g. on the street) and where biometric face scan is not possible. In those situations, the process is time consuming and is prone to errors. 2D biometric face scan matched to the picture as per scanned document. 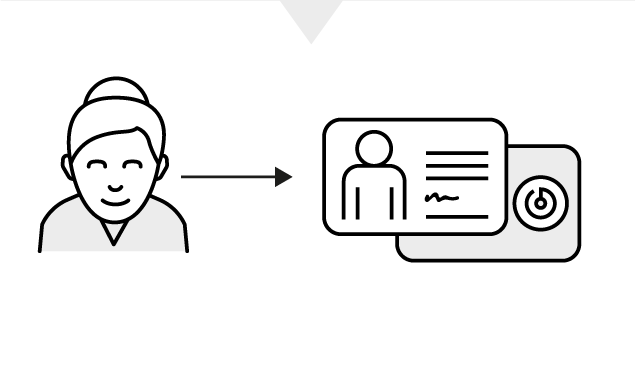 Embed or attach a non-removable crypto tag to the physical document, which stores biometric and other data on the blockchain. • Full data privacy is guaranteed - biometric data (stored on the blockchain) is linked to the document’s public key. Public keys are stored on the State’s database and matched with personal data. Matching of the data read from the scanned document against the central database. Matching is not done in real-time because of occasional spotty access time to the central database. Scanned data is matched against the data stored on the blockchain. Non-removable crypto tag is embedded into the document. 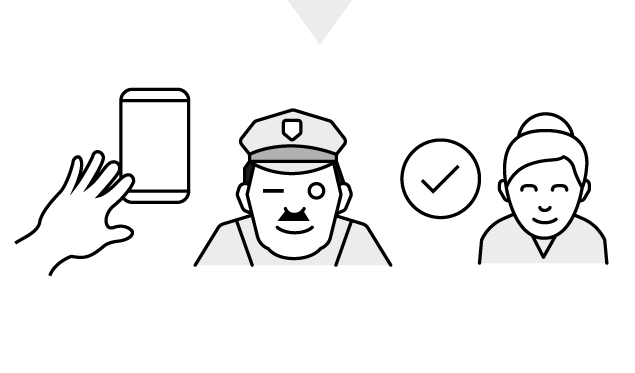 The crypto tag gets provisioned* and attested** with facial biometric data from the user. The police officer scans the tag with a NFC- enabled device and compares the retrieved data with a real time biometric face scan. The crypto tag gets provisioned* and attested** with fingerprint data from the user + his/her telephone number. The police officer scans the tag with a NFC-enabled device, in order to validate the document authenticity. If there are serious doubts regarding the identity of the user, the police officer can then confirm the passport holders identity by fingerprint scans.